Have you ever wondered if your family could make ends meet on only one income? Do you dream of how to be a stay at home mom, but worried about the financial ramifications? Whatever your situation, lets look at some of the best money saving tips for single income families. SHORT ON TIME? PIN NOW & READ ABOUT HOW TO SAVE MONEY LATER! Sometimes going from having two breadwinners in the family to just one paycheck is a planned choice. Other times, living on one income is a forced situation. One spouse may unexpectedly lose a job, or become too ill to work. The mom who planned to return to work at the end of maternity leave gives birth to a baby with complex medical needs. Whatever the situation, it’s much more difficult to downsize to one income when you don’t have time to prepare, but it can be done. When our twins were born, I had planned to return to my teaching career. Not because I wanted to leave my babies, but because I thought that there was no way we could live on just one income. One of the babies was born with complex medical needs (KAT6A), so I no longer had a choice to return to my job. After 16 years with the same school district, I turned in my resignation. Many families plan well in advance to make the transition to only one income. This is the ideal scenario as it gives you the opportunity to make decisions that are already based on one income. For instance, maybe you are planning to start having children within the next 2 years, and you will leave your job to be home with them. Knowing this plan in advance will help you to make big purchases accordingly. You may choose a less expensive home to purchase if you know you will be paying with one income in the near future. Having the time to prepare to be a single income family also gives you the opportunity to pay down any debt you may have such as student loans or credit cards. You and your spouse can brainstorm all of the best money saving tips and start implementing them. A budget is simply a plan that outlines the expenses you will have and what money you will use to pay for those things. 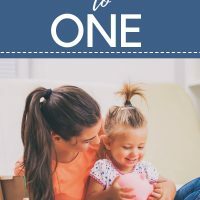 When I became a stay at home mom and we were learning how to budget on one income, it was quite surprising to see how many expenses were actually unnecessary. Not just the big costs such as childcare, but the little things added up quickly too! For example, my clothing costs were able to be reduced significantly now that I would be staying home instead of teaching each day. Having a budget to plan for your expenses is imperative for any family. If you are at all like me and numbers aren’t your thing, then check out Penny Pinchin’ Mom. Tracie has the best budgeting tips and walks you through each and every step to create a budget that works for your family. Even if you have very little income or if your pay is inconsistent, she will help you find the right type of budget. 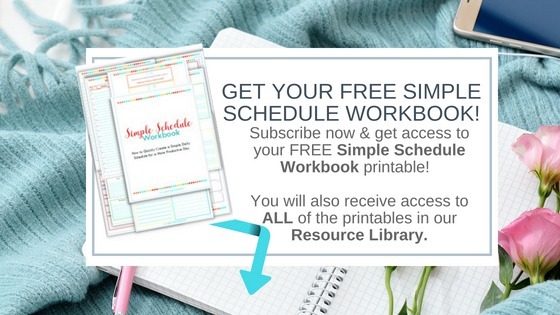 She even provides free budget printables that you can use. This really is the ultimate guide on creating a budget! The Simple Dollar has a practical list of ways to reduce spending in many areas. 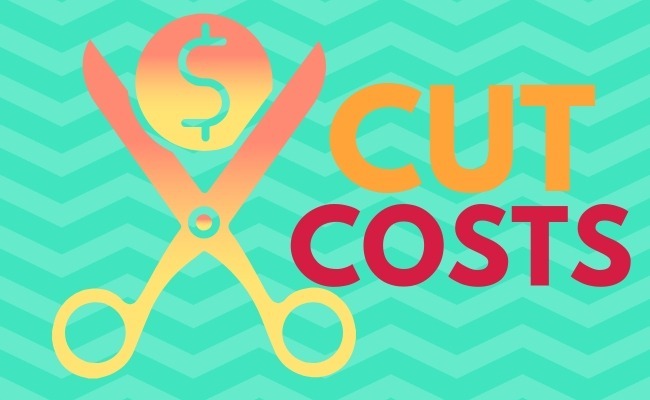 You will definitely need to cut down your household spending when you become a single income family, and this list gives you some of the best ways to save money that you may have not considered yet. Be sure to read my article about the things we quit buying to save money . We saved over $10,000 our first year as a one income family! Another way we made our dollars go further was to use a cashback credit card for all of our purchases. We used the cashback card to pay for all of our purchases—even our utility bills. We earned an average of $140 each month just by using our reward credit card to pay. That’s over $1,500 a month just for using my credit card! Here’s the thing though—you MUST pay your balance in full every single month for this to be effective. If you aren’t disciplined enough to only use the card for budgeted expenses, then please don’t do a credit card. But if you are able to stick to a budget and only use the credit card for planned purchases, it’s a fantastic way to get free money!! It’s imperative to find the right rewards credit card, and Jason at Million Mile Secrets has already completed all of the research for you. He has ranked the best 6 cashback credit cards and summarized all of the information about each card to help you choose the card that will be most beneficial for your situation. We have been able to save thousands of dollars by becoming more self sufficient. We DIY everything from baking bread to remodeling our bathrooms! Even if you think you aren’t handy around the house, all you have to do is go to YouTube. You will find a video for just about anything you need. I have repaired appliances, tiled floors, cut hair and more, from watching YouTube tutorials. For more ideas on how to become more self sufficient, be sure to check out, Our Simple Homestead. They have fantastic tips you can use to be more resourceful! As I mentioned earlier, we are able to earn more than $1,500 each year by using our cashback credit card. BUT, this requires a great deal of self-discipline and you absolutely MUST pay the full balance each month. We use the card to pay for all of our budgeted expenses and nothing else. We don’t carry a balance on the credit card so we never pay interest, therefore all of the cashback rewards are straight up profit. If you need help choosing the best cashback credit card then you definitely want to read this article. But, if you already know that you wouldn’t be able to control your spending impulses with a credit card—or maybe you’re trying to pay off debt from credit cards, then you should consider paying with cash. 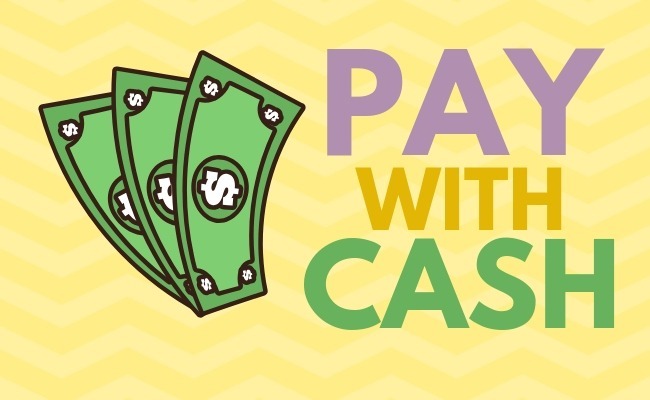 There are many benefits of paying with cash versus paying with plastic. The biggest benefit of using cash is that you spend less money. The physical act of handing your cash money to pay and then watching it disappear is psychologically painful. Using cash for our household purchases definitely helps to keep us within our budget and spend less money. Buying consumables in bulk is a great money saving tip that can save a chunk of change. However, not everyone has the space available to store extras. When we had a much smaller home, I had to get really creative when storing bulk purchases. I would stash toilet paper and laundry detergent under the beds! Purchasing in bulk will not not only save you money, but less packaging means it’s also the greener choice. When buying in bulk, make sure to calculate the price per unit to ensure you are getting the best savings, and always check expiration dates for perishable items so you don’t buy more than you will use. I love to use Amazon Subscribe and Save for fantastic prices without leaving the house! Another great way to reduce your spending and live more frugally is bartering! If you aren’t familiar with bartering, it’s simply a way to obtain goods or services without the exchange of money. You can see if any of your friends or neighbors might be interested in this type of exchange. A great way to connect with your neighbors is through a private social network such as Nextdoor. Many people also use Facebook groups as well. These are great ways to share your talents and skills and save money in the process! I’m not crazy about the word sacrifice. I think of it as selflessness. We made many selfless choices to ensure that we could survive on one income so I could be home with the babies. To eliminate a car payment, we sold one of our cars and paid cash for a cheap commuter car. My sweet husband drove that car (without air conditioning) to his office every single day for 2 years! And he never once complained!!! It may take some soul searching, but there are many areas we all can make compromises in and humble changes we can make that will greatly benefit our family. I’ll admit that all of the money saving tips we used and the changes we made in order to live on one income haven’t always been easy. We had to rearrange our thinking, eliminate habits, and adjust our expectations. When we get discouraged, we remind ourselves of the bigger picture and the treasure of me being home to raise our boys. Whatever the reason you are downsizing to one income—whether it was planned or unanticipated, there are many things you can do to make ends meet. What creative ways have you found for living on one income? I’d love to hear about it in the comments below!